Countess Elsa has hidden herself away from the world, including her sister Lady Anna, for several years after their parents disappeared under mysterious circumstances. The reason for this becomes clear when Anna follows her to St. Idun's Cathedral in the dead of night, only to witness a horrific scene. [Scott Pilgrim] Misanthrope though she may be, Kim Pine's no different from anyone else: she gets lonely. Wants companionship. Problem is, she's been burned enough that she hates everything and everyone too much to seek it out anymore. All she needs is for a former high schooler from her past to drop back in and hit her with a few surprises — and unearth a few of her own. [Sailor Moon] Usagi Tsukino is just about the most unassuming bisexual of all time. So unassuming she has no idea herself. This is a series of one-shots showing what it would be like if she fell in love with each of the Inner Senshi (plus Naru and some other bonuses). Fluffy enough to fill a dakimakura! Elsa and Anna as Starfleet officers. Pretty much all you need as a summary for this, other than me wondering why I had Ensign Anaa putting tapioca pudding in her raktajino. It's been at least eight years since the last family Christmas, which ended in a screaming match and squealing tires as someone drove away from their parents' house forever. Both Elsa and Anna threw themselves into their careers, hoping to completely forget all that nastiness. Then they come face to face again... as each other's blind date. Elsa and Anna dress themselves and their three children up as the Addams Family for Halloween. Then, once the little ones are asleep, their own fun begins. Brief ficlet written for Halloween on the Elsannafervor blog; non-related, NSFW. 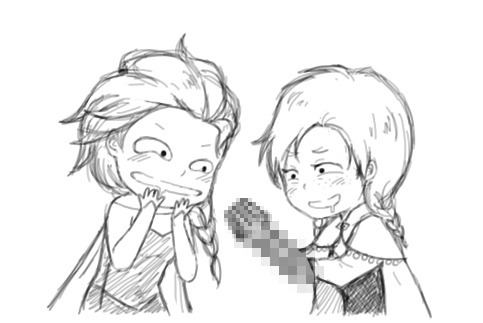 Just a collection of short Elsanna "Texts From Last Night" drabbles originally posted on Tumblr by yours truly! Each chapter is a separate drabble with its own mini-plot. Elsa Froiland has channelled every second of life into her vast empire, North Mountain Industries. One ten o'clock appointment will reveal that her position at the top of the heap isn't nearly as secure as she thought. Can she (and Anna's struggling little company) outfox the foxes?